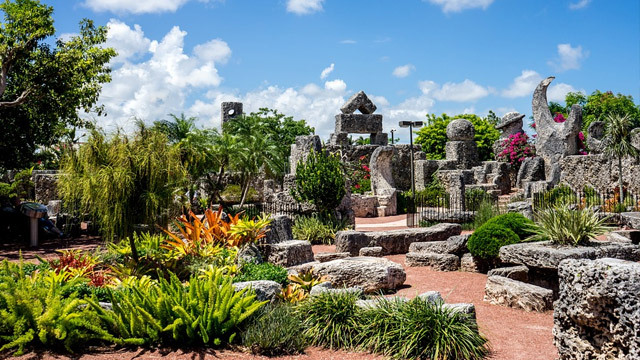 The Coral Castle is an amazing garden in Florida built of giant blocks of coral by a 5 ft tall, 110 pound man named Edward Leedskalnin. The mystery is in how he built this castle made of these huge coral blocks weighing 5 to 30 tons each. How did a man of his stature quarry, transport, and erect 1,100 tons of rock all by himself with no modern machinery? The story goes, Leedskalnin worked alone and would let nobody see him when he really worked. No one except for a couple of kids passing by ever saw him building his masterpiece. Engineers for decades have tried to understand how this smallish man was able to accomplish so much. Born in January 1887 in what was then the Russian Empire, Edward Leedskalnin was a slightly-built, off-beat kind of guy. He dropped out of school in the fourth grade because it bored him, yet he had a passion for learning. Upon the night before his wedding, he was rejected by his teenage bride-to-be and was heartbroken. He would eventually contract tuberculosis which incited his move to Florida, where the warmer climate would aid in his disease. Miracles appear to abound by Edward, as he was somehow cured of his disease. His claim to cure was magnetism. In 1951, Leedskalnin fell ill. He left a sign for visitors that simply read “Going to Hospital.” 28 days later his secrets would be gone. 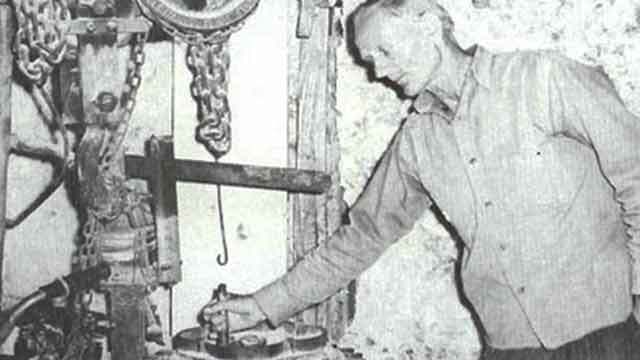 When people asked how he had moved all of the stone he said, “I understand the laws of weight and leverage and I know the secrets of the people who built the pyramids (being those at the site at Giza in Egypt).” He claimed to use a “perpetual motion holder” as one of his tools which adds to the mystery. Modern science argues that magnetism or levers may have aided in his work, but there is a lot of mystery to this day as Edward passed away before he could reveal his secrets. 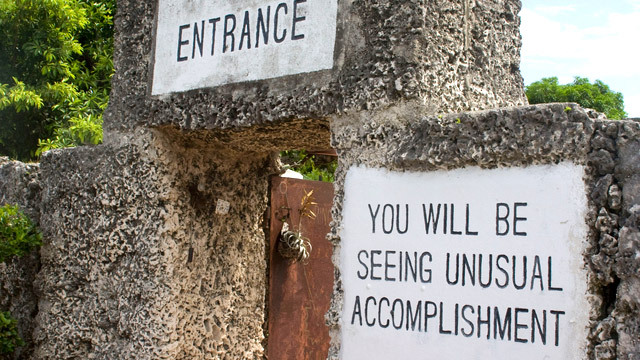 The most remarkable feature of the park is the nearly 9-ton revolving “Rock Gate.” The gate is carved to fit the walls within a quarter of an inch and is perfectly balanced so a child could push it open. Leedskalnin accomplished this by drilling a hole through the precise center of balance of the rectangular stone and inserting a steel rod as an axis. Edward was able to make the gate swing around with mystical ease. 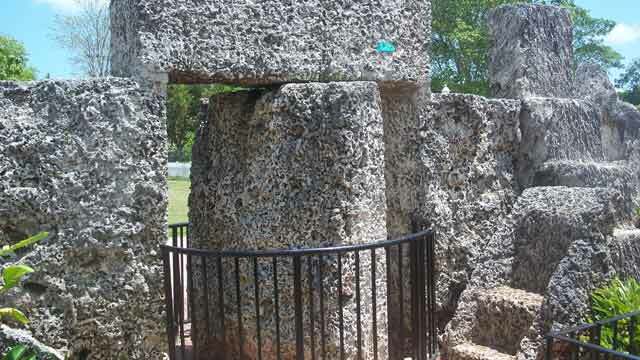 This video of Coral Castle from the 1930s shows a small child manipulating the giant stone as well as many of the castle’s features. How did Edward lift the stones into place? Edward Leedskalnin was only five feet tall and weighed 100 pounds, so we can probably assume he didn’t use brute force. We know that he moved the stones and built the monuments without any help from anybody else. He always worked in complete secrecy, always by himself, always at night by the light of a single lantern. He only used hand tools. Edward claimed to have unraveled the secrets of the pyramids and learned how the ancient builders in Egypt, Peru, Asia and Yucatan erected mighty structures using tons of stone and primitive tools. In his pamphlet, “Magnetic Current,” Edward explains that he was able to reverse the magnetic forces of the objects. This effect countered the forces of gravity and made the heavy objects lighter and easier to move. How did he really do it? Did he have supernatural powers? Did he have help, and if so, from whom? Aliens from outer space? 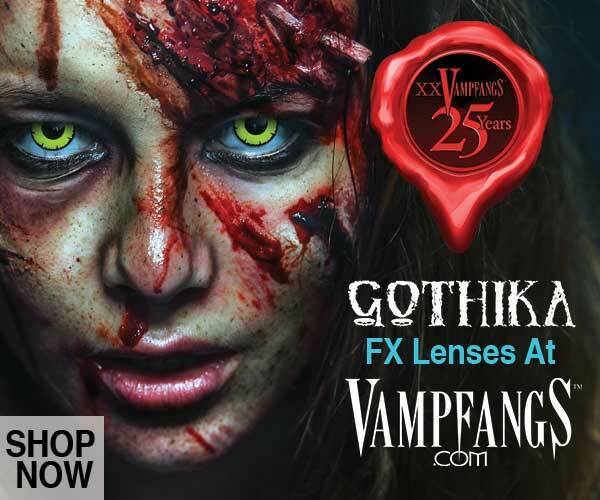 Did he get help from the angels, or were they more sinister beings from the spirit realm mwahahahaaha? Does the layout of the individual monuments have a hidden meaning? Looking at the above, you might think it is an extra-large garden ornament section of a nursery. Did Edward arrange the ornaments according to a plan? Was he sending a message? Some of the structures, such as the heart-shaped table and the two stone beds, are what you might expect from a lovelorn fellow. Is it all an extravagant monument to love, or is it something more? Was Edward a deranged crackpot, unlucky in love, or was he a rare genius, also unlucky in love? 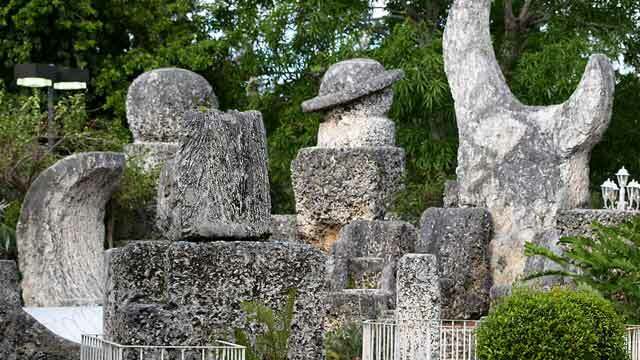 Visit Coral Castle. 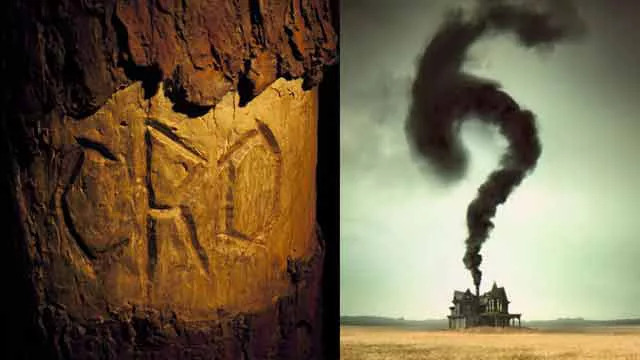 Can you solve the mysteries? Were you paying attention in school the day they taught you the properties and science of magnetism? 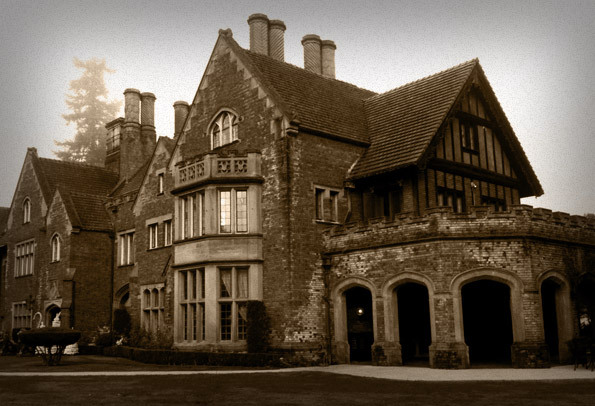 Haunted Hotel – Thornewood Castle The Mystery of Roanoke Island Sarah Winchester and The Winchester Mystery House Nick Castle Returns in Halloween Reboot!